Posted February 6th, 2019 | filed under News. FINDLAY — Back in 2006 or 2007, lifelong pals Aaron Osborne, Alex Treece, and Josh Heitkamp were hanging out in a Findlay bar, drinking craft beer. “We said, ‘Hey, maybe we can make our own beer,’” says Osborne, co-owner and head brewer at Findlay Brewing Company. The idea turned into a trip to Toledo’s Titgemeier’s Feed & Garden Store on Western Avenue to pick out some brewing equipment. Internet research found a recipe that was close to a Guinness. “We made it, and it was terrible,” says Osborne, chuckling. But the beer got better, and the men added Ben Walton and Alex’s parents — Steve and Susan Treece — to an investment group and purchased a Sabco Brew-Magic System in 2013 and opened a small location on North Main Street, where they mostly distributed kegs around the area, producing 1.5 to 2 barrels a week. A fire eventually forced their hand, and in June, Findlay Brewing Company opened a brand new taproom on East Crawford Street near downtown Findlay. On Main Street, the company was producing about 100 barrels a year. The new 15-barrel brewhouse could eventually produce as much as 5,000 barrels a year. 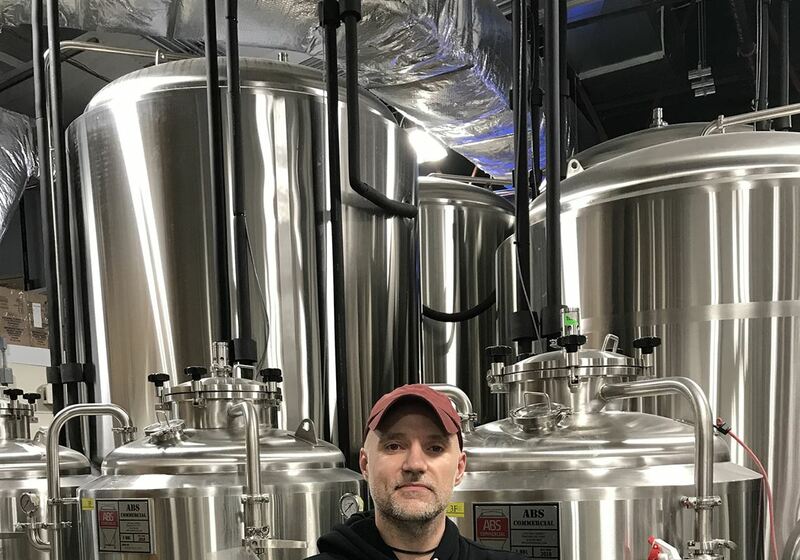 “First time we brewed on these tanks, I said, ‘oh, man, what do all these valves do?’ But you’re making the same thing, whether it’s 2 gallons on a stove or whether you are making 15 barrels of it,” says Osborne, who admits the early brew days stretched to 18 hours as they learned the new equipment. Those days are now about eight hours. The taproom recently added Tuesday as a day of business, meaning it is open every day but Monday. There are 24 taps available. Most of them are dispensing Findlay Brewing beer, though there are a few rotating guest taps. The original recipe that Aaron, Alex, and Josh tried more than a decade ago has turned into the popular Floodwater Stout. There are a wide range of style options available, including IPAs, a blonde ale, porters and stouts, even some wine and a cider. “I think our strength is being diverse. I respect those breweries that do one style really well, but the fun part of brewing is trying out new things. At some point we’ll have a sour to the deepest, darkest beer. You can expect the unexpected from us,” says Osborne, who has at least 70 recipes on his phone. The downtown location was a natural spot for not only beer but also for food, and Findlay Brewing has a full food menu that features typical pub appetizers and soups, salads, sandwiches, and flatbreads. Whatever it calls itself, Findlay Brewing’s new facility has been an overwhelming success, drawing near-capacity crowd on most nights of the week. Long-term plans call for distribution throughout the state, but, for now, it’s enough to feel the love from local residents. Twin Oast Brewing on Catawba Island is introducing its Grain to Glass Experience beginning on Sunday at 11 a.m.
A $20 ticket will include a 45-minute tour of the facility with one of the brewers or owners, a flight of five, 5-ounce pours, and a Twin Oast pilsner glass. Tickets are available on the online shop at twinoast.com or at the brewery. The Glass City Beer Festival has been an annual tradition for local craft beer drinkers, a respite inside the Lucas County Rec Center from the lousy late-winter weather. On March 1, the 13th annual festival will have a new home as it moves to the Stranahan’s Great Hall. Event organizer Cindy Michael assures fans that there will still be live music from 56Daze, a VIP area, free parking, and more than 240 craft beer offerings from local and regional brewers. More details will be released at the beginning of the year on glasscitybeerfest.com. A unique beer contest will be taking place on Saturday between Ohio and Michigan breweries. More than 20 breweries from the two states will be entering stouts, porters, or a brown beer in the contest. There will be an Ohio and Michigan winner, then the top two will compete in a final round to determine an overall winner.